Our next stop was Mexico Beach. We usually go here for a week when school is out but we went to disney this year instead so made a stop here one our "travel all the beaches tour". 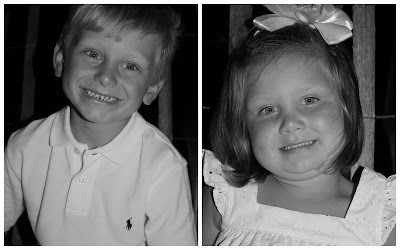 We ate dinner here... one of the places we always eat at... We had to wait before dinner so i took some pictures of the kids on the beach... can we just say... thank you daddy for our BEAUTIFUL blue eyes... 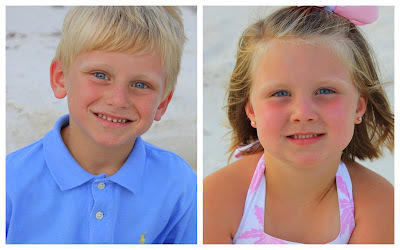 I know they are my kids...but really can their eyes look any more pretty??? And the next pictures are what you call beach pictures gone BAD... really BAD... by the time we got finished with dinner it was too dark and the kids were tired and not very cooperative especially brylee... i look about 50 to get this and it is not good but oh well i was determined!!! and i got a few of them individually... jackson really did well... brylee on the other hand... not so much... she kept doing funny things with her neck... i was about to loose my mind... thank goodness we are going back in a few weeks and we can try again.